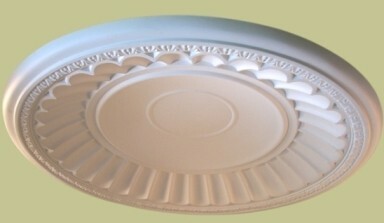 Large recess in roof or ceiling having a circular, polygonal hemispherical or semispherical shape. 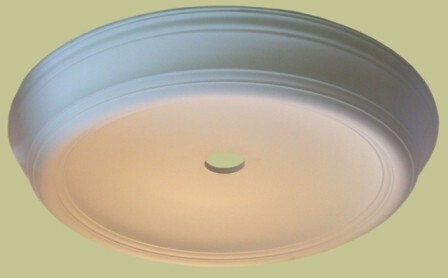 Ceiling domes create a focal point in a room and changes its shape and feel whether a round dome, or decorative dome center although primarily decorative ceiling domes also physically increase the space of a room and allows for larger light fixtures. 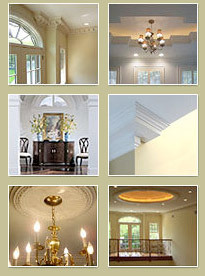 They add the same beauty and depth as trey ceilings, but at a fraction of the cost. 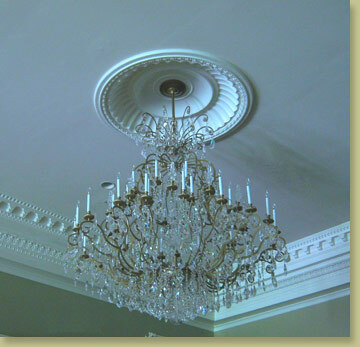 Grand foyers, lobbies and luxurious living and dining rooms are majestically transformed with the addition of ceiling domes. Ceiling domes can be used over a dining room table, or to really set off or highlight a magnificent chandelier in a great room.